The Colona model has 3 Beds and 2 Baths. This 1280 square foot Double Wide home is available for delivery in Indiana, Illinois, Michigan, Ohio, Kentucky, Minnesota, Iowa, Missouri, Wisconsin. 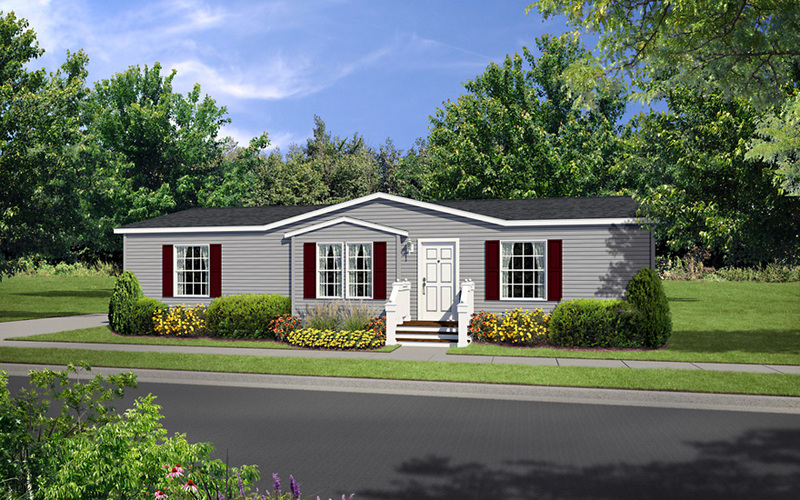 The Colona model derives its pleasing character from its perfectly sized footprint. Not too big, yet not too small, this medium sized mobile home is teeming with high quality features, chief among them are three huge walk-in closets. The practical and stylish kitchen island is a cook’s dream. Ask about the optional master bath with deck tub. Steps and railings done on site by others. Shown with 20′ dormer, drop gable with bump out, flint siding, wine shutters, black shingles, white trim and white exterior coach light. 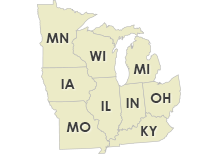 Ask your housing consultant about the other great features that come standard on the Colona manufactured home.